The swine-flu scare of 2009 turned a spotlight on a controversial issue: Should healthcare workers be required to have an annual flu vaccine? Most studies suggest that healthcare workers should be vaccinated to help stop the spread of flu. But surveys show a sizable portion of people who work in hospitals, clinics and doctor’s offices don’t want to get an annual flu shot. According to a Rand Corp. survey issued last year, 39% of healthcare professionals said they would not get a flu vaccine, even with the threat of pandemic flu. “Because the likelihood of a serious adverse reaction to influenza vaccine is extremely low, the duty to protect vulnerable patients and to put their interest above the personal interest of the healthcare worker does not demand undue sacrifice,” the authors wrote. The paper is published in the journal Infection Control and Hospital Epidemiology. 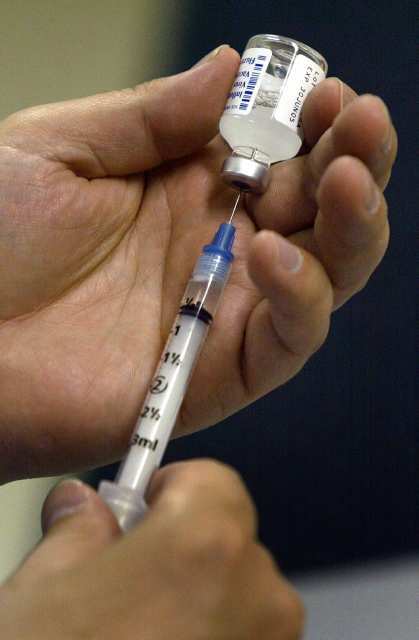 The move toward mandatory flu vaccination for healthcare personnel already has begun. During last year’s swine-flu outbreak, several hospitals implemented a mandatory policy. One hospital chain has adopted mandatory vaccination. And the State of New York Department of Health is writing a permanent regulation for yearly flu vaccination of healthcare personnel.